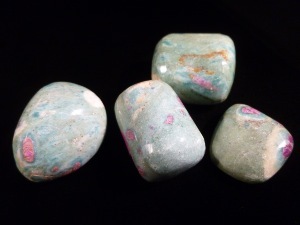 Fuchsite is considered to be a high in energy, that may increase the energies of other crystals and is said to be excellent for creating harmony in the home. 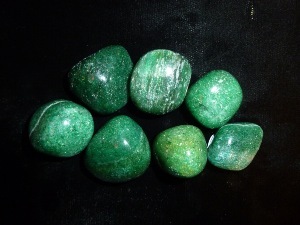 A silicate, chromium-rich variety of Muscovite, Fuchsite get it’s green colour for the high chromium content. Said to help bring an equilibrium and emotional stability, it’s may be used to encourage strength in one’s self to get through major setbacks or illness. Physically thought to help maintain healthy red and white blood cells. Also said to be able help with carpel tunnel syndrome, spinal alignment, muscles, immune system, throat, skin conditions and sleep disturbances.